Remote control codes for Denon soundbars. If you have a Denon Soundbar and want to control it with a Universal remote control, Cable remote, or SAT remote, we have the remote codes that will make it work. A Denon soundbar can be controlled with any universal remote control if you have the correct programming guide and the specific remote codes for the soundbar. Program your universal remote control to a Denon Soundbar. Use the following 4 and 5 digit remote codes. – Turn on your Denon Soundbar to be programmed. 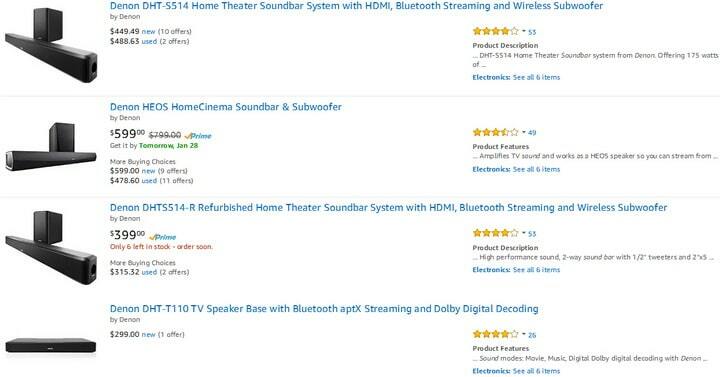 These remote codes should work with Denon soundbar models DHT-S514, HEOS, and DHT-T100. Need more help programming your Universal or CAB SAT remote to your Denon soundbar? Please leave your questions below and we will be happy to assist.